Hip Hip Hooray! 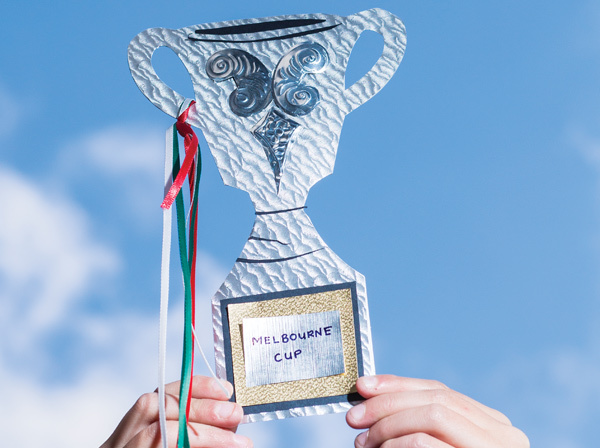 Celebrate the Melbourne Cup this year by decorating a Winner’s Trophy – everyone can be a winner! On a sheet of Metallic Pattern Paper, trace around a cardboard trophy. Cut out the shape and glue it to a cardboard trophy. Show details of the trophy by cutting shapes from Black Cover Paper. Arrange the shapes on to the trophy and glue them in place. Draw with a pen in to a piece of Embossing Foil to create shapes that can be cut out and glued onto the trophy. 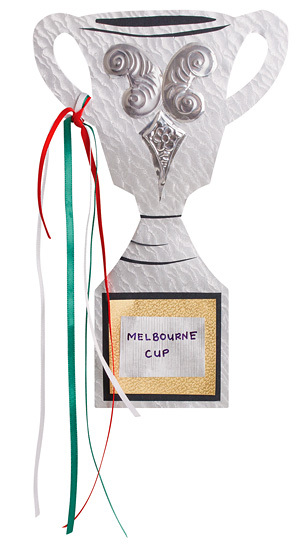 Create a label at the base of the trophy using Patterned Papers and glue these to the trophy.